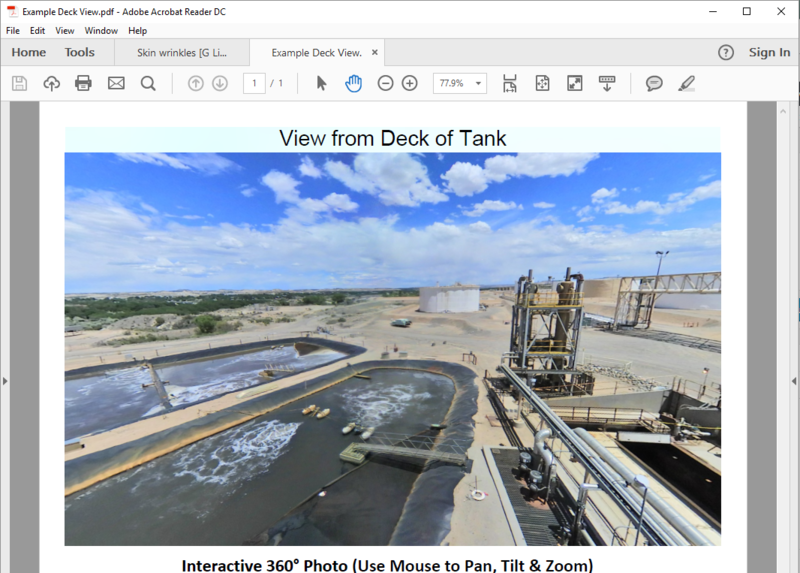 The latest update of the PDF3D suite of tools, Version 2.16, is the first professional software on the market to create panoramic 360-degree photos in PDF. This new release brings a host of new features for those who work with 360-degree images, scans and panoramic photos including new technology, unique to PDF3D, for preserving the detail on high resolution images. With PDF3D’s ReportGen, you are now able to take a 360 panoramic photo and convert that directly into an interactive 360 image within a PDF file using the special panoramic 360 profile mode. You can now embed your 360-degree viewing experience into a self-contained PDF report, brochure or presentation with ease. There’s a new sub-sampling feature for those cases where even after optimization and compression your image is still very large – no need for third party software and a more complex workflow. We’ve also enabled scripting automation for unattended generation of multiple PDFs. We’ve added a new menu in ReportGen for texture optimization. This draws on the latest, powerful technology that has never been exploited quite in this way before. This smart functionality retains detail of the original image and allows you to present the image in a shareable, accessible format without sacrificing quality or critical detail. Optimal Viewing Experience – even Offline! In V2.16, we’ve focused on enriching the viewing experience in a number of ways. We’ve made our technology work harder so that yours doesn’t have to: you won’t need the latest processors, high end graphics cards, or stacks of RAM to easily and effectively view your panoramic images– and importantly nor will your clients. With a range of viewing controls including zoom, tilt and rotation (with restricted limits if you want the viewer to focus on a particular aspect), we’ve enabled you to deliver a rich and innovative panoramic viewing experience. With your image in a standard PDF file, anyone with Adobe’s Reader software can view your images – on or offline. If the documents need to be secure simply enable the AES v3 encryption (up to 256-bit). PDF3D for Panoramic 360 operations is now available and can be downloaded by a quick request.